Welcome to my A2 blog. This will features Research and Planning and Progress towards my final edit of NSYNC- Gone and the two ancillary texts. The blog will also features our Evaluation of all our coursework. Evaluation 1- In what ways does your media product use, challenge or develop conventions of real media products? Part 3 from Melodie Abraham on Vimeo. Untitled from Melodie Abraham on Vimeo. Evaluation 2- How effective is the combination of your main media product and ancillary texts? How effective is the combination of your main media product and ancillary texts? Our brief was to create a promotion package for the release of an album, including a music promo video, together with a cover for its release as part of an album digipak and a magazine advertisement for the digipak. As a group, we came up with our own production team, 'MELLIE PRODUCTIONS'. 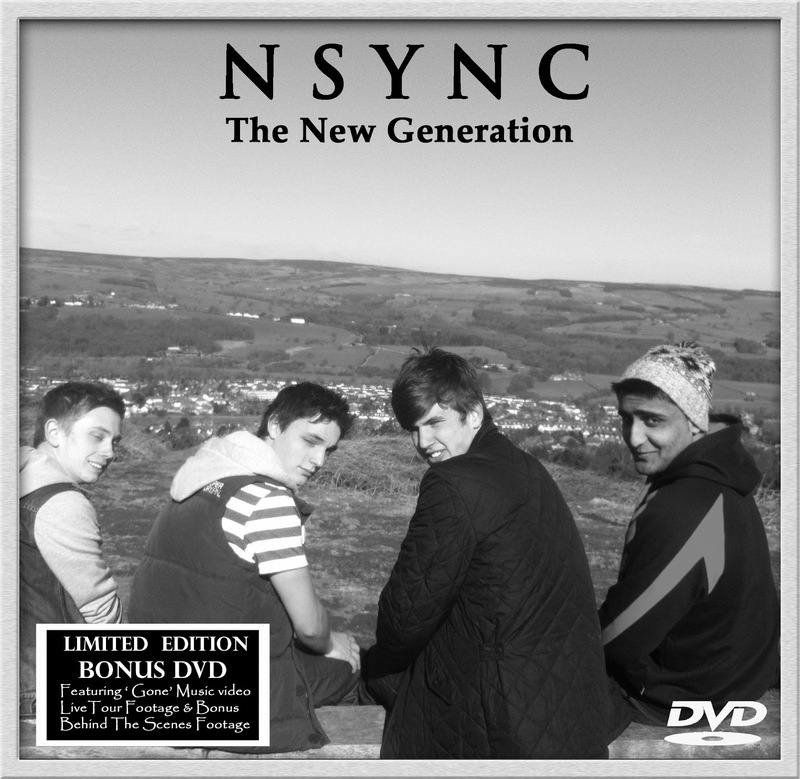 As a group we developed our ancillary packages and produced and directed our music video, to our song ' Gone' by 90's boy band N'SYNC. It is important to note that in many cases not all digipaks and magazine adverts directly link to just one music video. This is because a digipak has many songs on it and therefore has to link to them all and the magazine advert is there to promote the digipak so also will not just tie into one specific video. Although this is slightly different for us as we have only created one video and used the shots taken separately for our digipak. Also some digipak/albums have more then one video for the same song an example of this would be U2. Another reason for why all 3 texts are more tightly linked would be that in real life example the artwork or shoots for the digipak and magazine advert would be out sourced to separate advertising companies. An real company that is likely to produce our music video is Epik Music Videos who direct, edit and film Music Videos, Behind The Scenes Documentaries and Event Filming. Epik Music Videos, mainly appeal to young, up and coming directors. Below is an example of a video made by Epik Music Videos. With most companies first you send them the track, and any ideas or storyboards you may have. After you have done this they will get in touch with you in some way to talk about locations and final budget. You will then sit down with the company and arrange a budget, in which you will stick to when buying props and scouting locations, and when considering aspects of special effects. The budget is generally the most important aspect to consider when making a music video, it will help decide what your video can contain, normally the higher the budget the better quality your video will be. Digipaks are a style of CD or DVD packaging, they are usually made out of cardboard or similar and one or more plastic trays for disks. A real company that would produce our digipak would be a company such as 'WeWOW'. They specialise in CD and DVD replication and duplication. The specialise in eco-friendly packaging also which means our digipak would be made with eco-friendly components such as vegetable inks. The invented the wowPak. 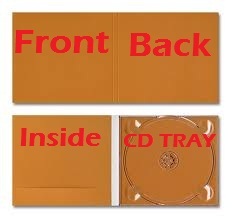 A unique CD presentation pack produced from a single piece of FSC accredited board. 'WeWow' also help you to sell your product as they have close connections with companies such as Amazon. Again, like with the production of the music video, the group will go to the company with a general idea for the digipak and a budget, allowing the company to produce something ideal for the groups video. Magazine adverts are very useful tool as a huge number of the population read magazines. Also there are many different types of magazine that appeal to very specific audiences so you can try to sell to your target audience. A company such as Maa Designs, could possibly design the Magazine Advertisement. Maa design in many forms including Brochures, Advertising, Posters and many more. Their designs can include 2D and 3D images placed on them. They have a fixed fee of £195 and promise the total project of 5 days. This just shows how the 3 texts would not be linked if this was a professional project. But saying this usually the group would send each company a small overview of what they want with ideas. This would benefit the artist to create a brand that is easily recognisable with the public. A recurring theme is a good idea. In our own work we used a recurring location in all 3 texts we used the moors which is a rural setting and we also wanted to tie it in with the gene conventions. We used a very similar in the mag and back panel and the digipak, this was so people knew immediately that it was Nsync. As you can see the products tie together very well. Due to the similar shots and the clothing worn by our 'young boy band' and actual boy band. We also used flowers on the inside of our digipak and we used a bouquet in our narrative as another tie together. 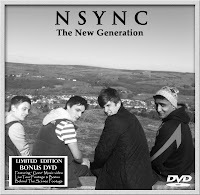 The clothes worn by the boy band are the same in each aspect, filming and pictures. This was because we took the images for digipack on location of shooting, but it does tie in very well together. For the inside panels of our digipak as well as having Sophie and Charlie layered in we have placed the boy bands heads, one in each petal which were placed in each corner. This clearly links are two narrative leads with the band, and also with the music video, which you can see above to the right. 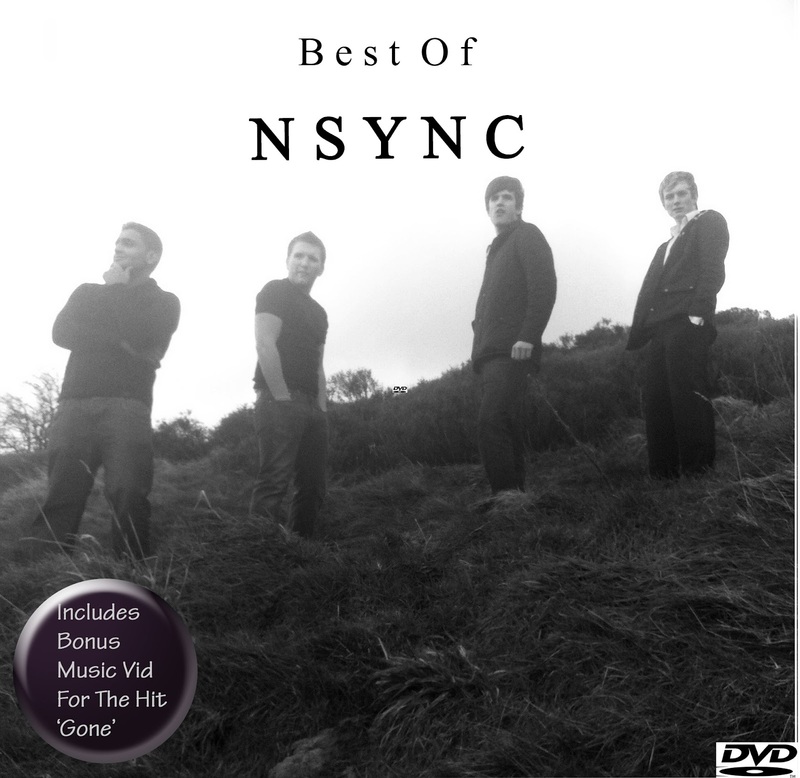 The digipak is black and white on the outside panels- this was done as some parts of the video are black and white and black and white albums is a very common convention in boy band especially slow songs. Our teaser was also created in black and white because it would stand out in a magazine against the other coloured pages also so that it tied with the digipak and when we released the actual mag ad it would be different. The mag ad and digipak location are different, the mag ad is at a memorial, this links in with the idea or the video (the lead girl being dead at the end) it also signifies to the audience that idea of the video featured in the digipak. Evaluation 3- What have you learnt from your audience feedback? 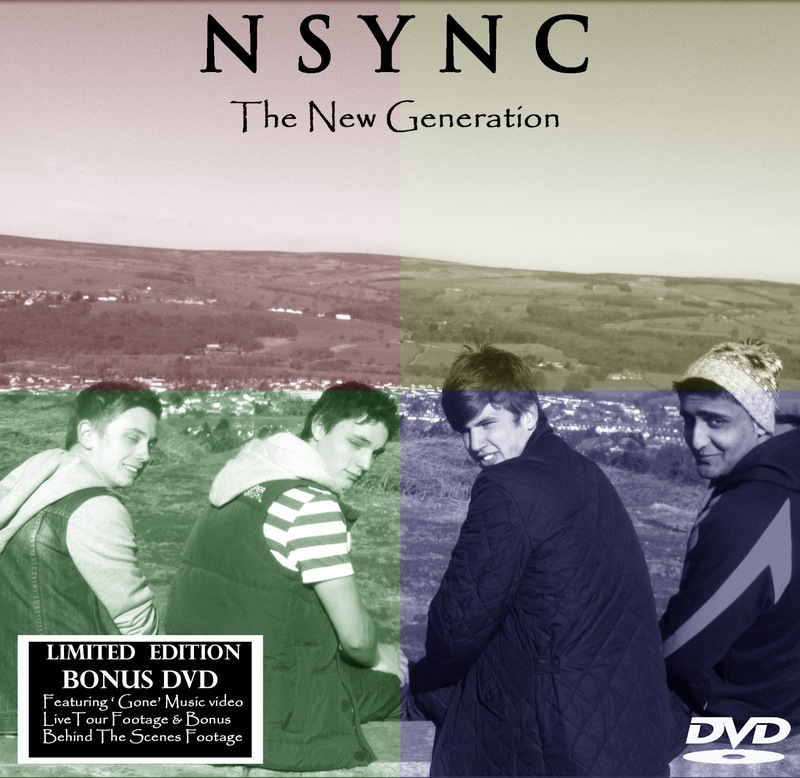 N'SYNC were a major Boy band in the late 90's, when they released their first album, which was self-titled ' N'SYNC' in 1997, they became one of the most popular Boy bands of the teen pop and R&B genre. This meant that by the time they released their second album in 2000, their fan base had increased, with the majority being females ranging from the ages of 12 - 25. So based on this we we deicded the primary audience would most probably been between the age range of 12 - 24, and the secondary audience being between the ages of 24 - 44 , as they would have been the target audience, also we decided that there could be a tween age 8-12, because many current boy bands have the audience and possibly a homosexual audience because the boy band are attractive. When trying to cater to so many audiences it does make it difficult what you can and cant included for example we started of having the boy drinking from a whiskey bottle but after audience feedback we were told it could alienate the younger audience so we removed it. We then we had to test our hypothesis by showing the pictures to people inside the target audience. We showed two boys and two girls from the ages of 15-18 images of boy bands from the 90s (the same era as nsync) and asked them if they could name their songs. From this we found that woman are predominantly the audience for boy bands. This confirmed our ideas about our audiences. 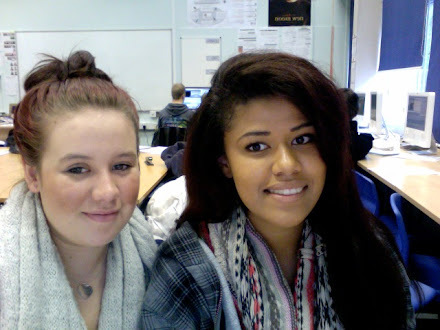 We used various ways of gaining audience feedback, this included, Facebook, Backstreet Boys fan pages, YouTube, class screenings, screenings to other media students, screenings to members of our year group. Every time we filmed we got audience feedback so that we could improve every time. Firstly we tested our idea by filming a sample scene which was around 1 minute long. The feedback from this was very important. We changed a big part of our idea by having a separate boy and girl for the narrative, the group we showed it to said that it may confuse the audience but it would also provide more shot variation. We were also told them some of our shots were too long. Seeing as we were told this by people inside our target audience we thought it would be vital for us to change this. We then went on to film our first full rough. 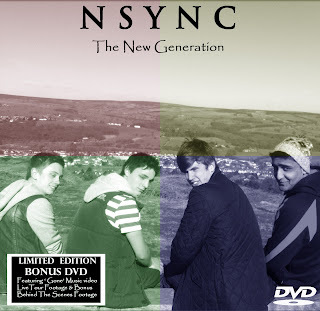 Also due to the fact that people said the members in the boy band could do with changing to make it look more realistic we had a change of actors. So then went on to film more footage and do a 2nd rough cut. After this we were told a few minor things to change for example to add in more pictures of the girlfriend as it was possible the people may achieve an oppositional reading (Stuart Halls theory of readings) of a homosexual relationship between the boy band and the male. So we added more shots we had from filming. Many people said they really like the effect I put on some shots to signify they are flashbacks called vignette. Again we were told that we needed to cut down to length of our first shots as they were too long. We publish all of these on You tube s that we can get Audience feedback. We got one comment which said maybe we should dull the colour of some of the shots. So we tired this but some of our class mates thought it looked better with the effect of because it was interesting to look at. So we decided to keep it. From this we got very good feedback and we just added a few more shots of the girlfriend and made the ending fade last longer so it lingered. Overall the feedback were getting from our different audiences. The main positives we got was that the shot variety was very good. It kept the audience interested. The effects we used made the project look very professional. Some of the shots very specifically liked by people one example is the one where one member of the boy band is layered into a flashback and he looks in their direction. 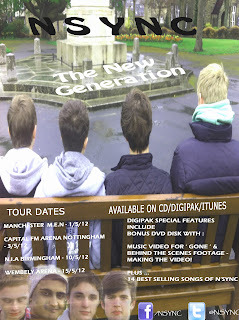 We took images for our digipak whilst on location filming. Here is the 1st draft of digipak back and front. From this we were told that he text needed to be smaller because it covers the whole image nearly. Also there is no small print in this which needs to be put in. We were also told that the font could be changed as it looks a little 'old fashioned'. This is the front panel. From this we were told that it was slightly plain and that the informaition on the sticker should be changed. And the dvd logo needs to be bigger. It turned out we had to change our cast so we would be taking new pictures when we re-filmed. We were told that this one wasn't right. It just made the image look blurry and pixelated. So we tried a different effect. This one was rejected by our audience because it didn't fit with the boy band genre. It looked as if it was some more fitting for a pop or indie digipak. One positive we got was that people really liked the connection between the front and the back So we decided to keep that aspect. This is our final digipak was the above. It contained many of the format conventions of a digipak. These were the initial drafts of the inside but overall we got told that these were not very good and they needed improving. As the didn't look very well done and our target audience didn't like it very much. They said they objects that we layered into the shot look 'tacky'. After getting an idea from a fellow student we made a second draft of the inside our target audience said it was much better and we decided to keep it as our final edit. We think it would standout as the outside is black and white. To begin with our mag ad had no real I.T manipulation which was bringing our marks down by a lot compared to the quality of our music video. When making our first draft it was a basic rough draft just trying to get to grips with an idea, and seeing what the band looked like, so we clearly knew before we even showed it to the class for audience feedback we had a lot of improvements to make. 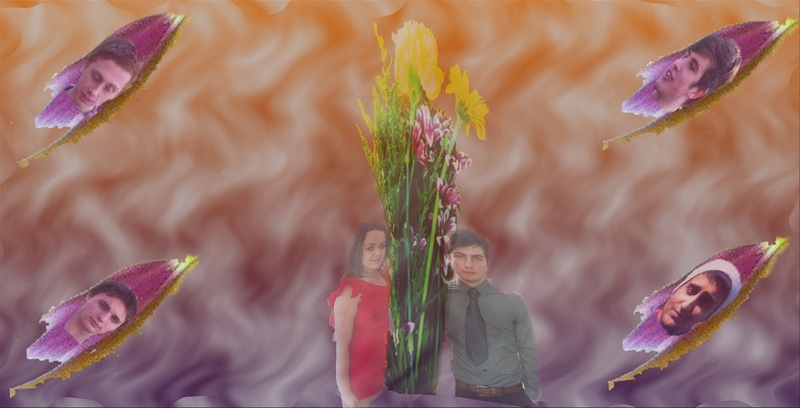 We were told that we needed to show some image manipulation, multi-layering for example. Also we were told to show font and size variation, as well as adding some social networking logos etc. This teaser is what we created to place into magazines before the actual mag ad. It common for artist to release many different versions advertising the same album. The feedback from this told us that we needed to make the band name be the most prominent. and some of text colours needed to be changed. We did receive more feedback on the video than the ancillary texts, due to people not really giving us that much helpful feedback. Overall audience feedback is essential for making a positive product. Every time we made a new rough cut and got audience feedback we were getting closer to creating a perfect product. Feedback doesn't always help, if your trying to appeal to multiple audiences and when you show them your work the different groups come up with different suggestions it makes it hard to find a balance. Evaluation 4- How did you use new media technologies in the construction, research and planning and evaluation stages? Band name- in white so it stands out. Images of social networking sites- twitter and images brands that would retail the album. From this rough cut we have been told to take out a shot of the whiskey as it may narrow our target audience. Tween is a big part or our Target Audience and having alcohol in the video would alienate them. Also there are some shakey shots that we need to look at and see if we can change them. Here are the first ideas for the inside panels of the digipak. We plan to get feedback on these and then improve on images. This is our second rough cut. 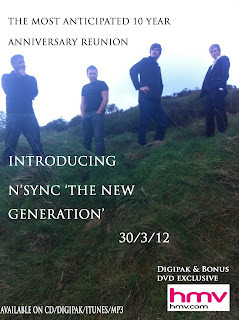 In this one wee have changed the performance footage over to the new boy band line up. Photoshop was used when creating our digipak and magazine adverts. It is used to change and add features such as text. Final cut express is a non-linear video editing application created by Apple Inc. It is designed for advanced editing of digital video as well as high-definition video, which is used by many amateur and professional videographers. Last year we used imovie to construct our videos and final cut gave us the ability to do more things. I used final cut to edit my video. Also to split clips, and effects such as desaturate- which is changing it to black and white or vignette (shot of vignette being used) which we used. In the evaluation stage I used all of the tools I previously used to the research and planning and construction stage. What have you learnt from audience feedback? N'sync were an American boy band who were formed in Orlando, Florida in 1995. 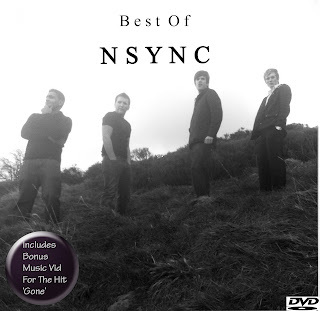 The group consisted of 5 male members JC Chasez,Justin Timberlake, Lance Bass, Joey Fatone, & Chris Kirkpatrick. They split in 2002. At this time they had fans ranging from 10-30 but their primary target audience is 15-24 females. Currently the age of the band members range from 31-40. A secondary audience would be people ranging from 25-34 as they would ave been that primary target audience at the time of the song. Another secondary audience could be a gay male audience as they boy band is relatively attractive so appeal to a male audience. Interviewing our class after watching the video- this was very helpful as unlike when we got feedback from other students the media students could give us feedback that they knew would be achievable as we are all working with he same equipment and have the same budget. Posting on youtube and getting comments- this was good as we could get people not exclusively from Ilkley Grammar to give their views. We also used sites such as facebook for feedback on our digipak pictures. For our magazine advert we simply asked people and wrote down their feedback. Our brief was to create a promotion package for the release of an album, including a music promo video, together with a cover for its release as part of an album digipak and a magazine advertisement for the digipak. A real example of a company that would produce our music video would be. Titles of Digipak and Mag Ad link together - "New Generation"
MA- Draft Evaluation1- In what ways does your media product use, challenge or develop forms and conventions of real media products? Locations used usually a mix of studio and outside locations such as cliff tops, rivers, parks. In our video we used the conventions of lip-syncing. We have lip-syncing in nearly all of our performance shots. 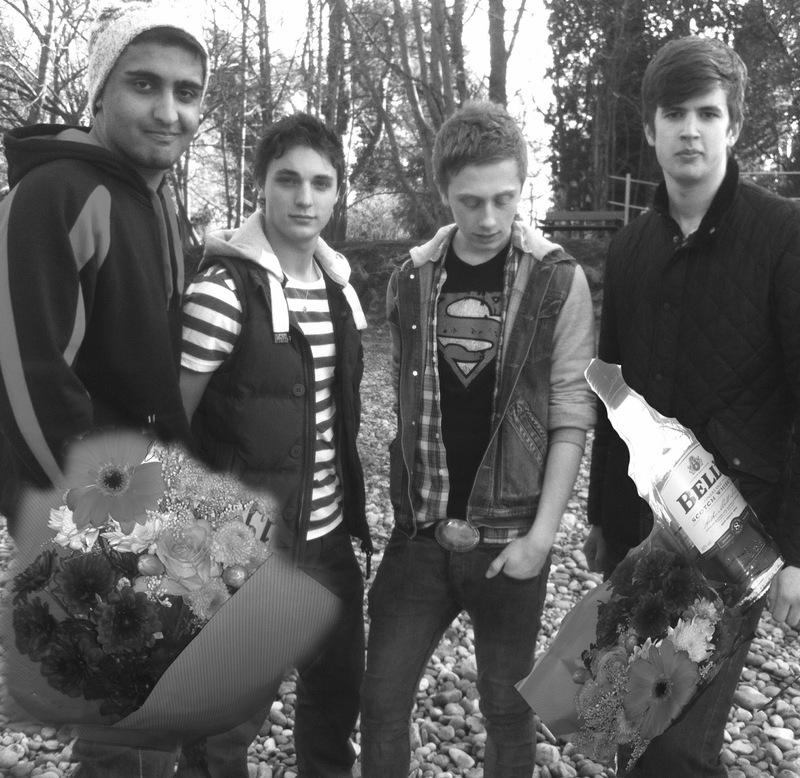 We also used props in our video, we used a bouquet a pink flowers, a bottle of whiskey and an Iphone to name a few. 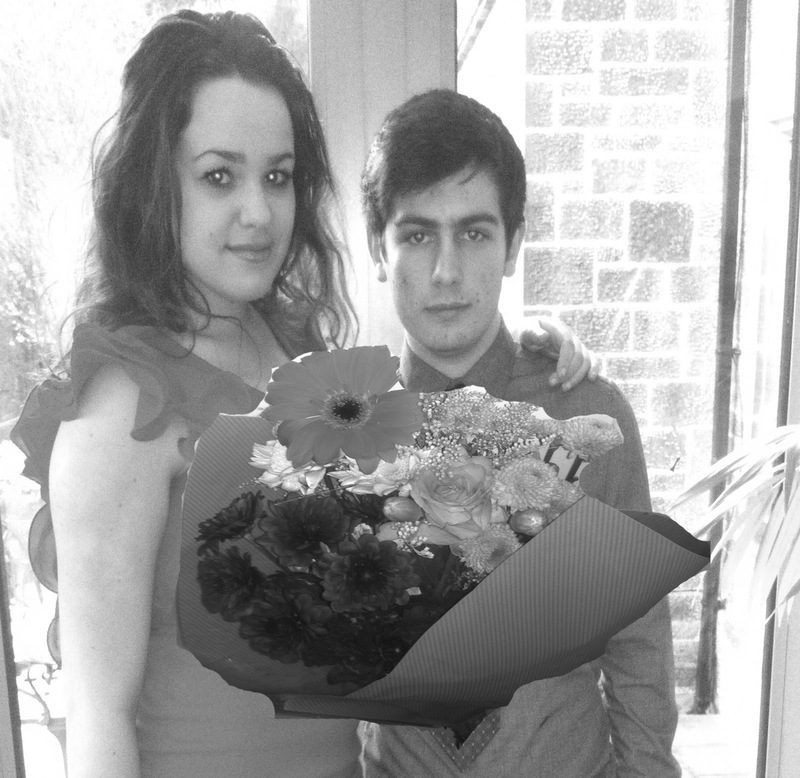 We used a heterosexual relationship in our video between the boy and girl in the narrative side of our video. We showed the relationship by having them with their arms around each other and trying to signify that they lived together. We also used a combination of black and white shots and colour shots to signify a difference in time, for the flashbacks we used an effect called vignette where the outer edge of the frame is blurred and we took the blurred colour to black and white to the the only colour was focused right on the centre of the frame were the couple is. We also took the convention of modern clothing, we asked the boys to wear relatively plain clothing, mostly dark colours such as grey and brown. 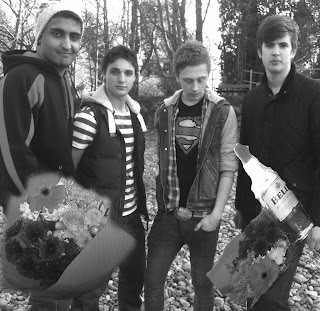 we took our clothing ideas from current bands eg jls, one direction. We used layering and special effect in our video. We have one singer playing the lead. We included a small diagetic introduction- a shot of Charlie look at a picture of Sophie on his Iphone. Some of the conventions we couldn't use such as high key lighting as we don't have access to that type of equipment. Also the use of expensive cars as our budget was practically non existent. Other conventions we challenged was fast paced editing, we have keep our editing slower than some because we want it to reflect the mood of the song, the song itself is slow and about a broken relationship. We also did not use any choreography because we didn't feel it would fit with the song. We didn't place any text in the video as we felt it may cheapen to look of our product. Sticker showing leading singles contained- these are used to get the audiences attention and highlight what is on the digipak. Some existing digipaks are very simple for example Take That- Beautiful World whereas others are a lot more complex. Including a image of the band and making in the focal point of the front. Have the relationship bewteen the front and back cover- we used the same pose for the boys but took it front the back. Relationship between front and back panel. Our target audience is 15-24 females, a secondary audience is an older audience of 25-35 because the they would of been 15-245 when the NSYNC track was released. Another secondary audience could be gay males of the same age. It is possible for us to use slightly different adverts to appeal to a slightly different audience for example for a younger audience who read magazines such as 'Sugar' we could use larger texts and have more focus on cute and happy pictures of the boy band whereas for a older female or gay male audience who would read 'more' or 'heat' we could use slightly more seductive pictures of our boy band. Conventions used in our Mag Ad. In this edit we used a effect to make 4 different square colours. The feedback from this was this is didn't fit with our genre.It would be more suited to a indie genre. Recently Mel and I made the mistake of unfortunately not backing up our work, on the editing we had done with our footage, which resulted in us loosing our editing when the Lacie drive on the mac broke. This has meant we have had to transfer everything back on to Final Cut and re-edit our work. We are going to have to hand a final cut to be marked roughly on Friday this week, however the footage we are going to be handing in will not show the true potential of our performance, as we have not yet been able to re-film our previous performance, as we have had problems with casting, however we have now got a full cast and we know this is cutting it fine but we are hopefully filming our performance either Monday or Tuesday next week. So the performance in our cut we are giving in on Friday will not be the performance we are going to use for the Complete Final cut, but will show the locations we are going to use so far however we have decided to use one other location when we re-film. The clothes are going to be different, and more sophisticated as we have added more control to our part in this production now, and our new cast members will be taking the shot more seriously. There will be some more group shots for the performance, and some more camera angles and shots both for the narrative and performance. Unfortunately in the ending to our video has not yet been filmed, we are planning on using a final part of the narrative as our ending which is the grave scene, where we are hinting the girls death from the narrative as our ending. So the ending for the cut getting handed in will not be our actual ending. There will also be another narrative flashback in our complete piece which will be a scene where our couple are feeding the ducks. We are also filming this next week. We are going to be using more layering techniques in our complete final cut, than what will be shown in the cut handed in on Friday. We have done a section of layering for our bathroom, mirror scene to show what we are hoping to place in the complete cut. There will also be more effects added in our complete cut. As for the Digipak being handed in, this will be our rough idea but the band members and pictures used will clearly be different in our final digipak. As we have changed the cast since this picture was taken. The back picture will be different, we are going to have the back panel as the band with there backs to us, however this will not be shown in the rough one handed in on Friday, as we forgot to take the pictures of there back to us when filming our previous performance. We are going to use a water scene for the Mag Ad but this picture has not yet been taken so will not be present on the one handed in on Friday. 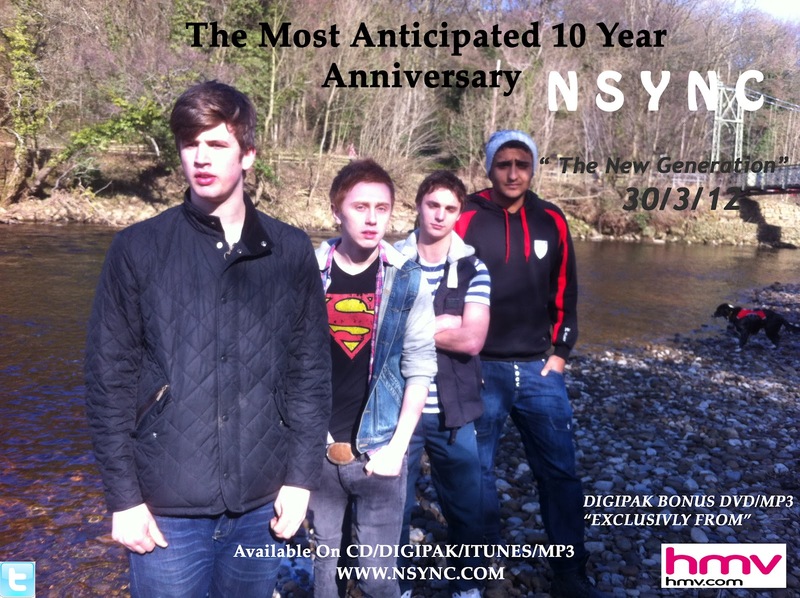 We are hoping to show a generation change, through the water, with the reflection being either the new generation or the previous generation from when N'SYNC were first around, we have not yet decided on this. As we are going to have a 10 year reunion Mag Ad, showing a new generation advertising our digipak maybe.